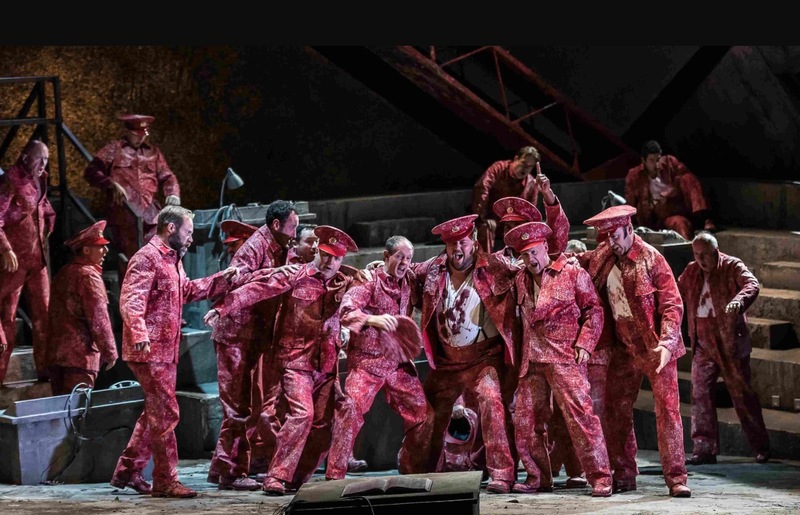 Russia is the theme of the Welsh National Opera's Autumn Season in Birmingham to mark the centenary of the Russian Revolution. Welsh National Opera (WNO) returns to Birmingham Hippodrome with a major presentation of three epic Russian-themed works - Musorgsky's Khovanshchina, Tchaikovsky's Eugene Onegin and Janacek's From the House of the Dead. Alongside these are two more chances to see Johan Strauss's Die Fledermaus, this time with Judith Howarth taking the role of Rosalinde. It returns after a successful stint in Birmingham earlier this year. Read the review from June here. 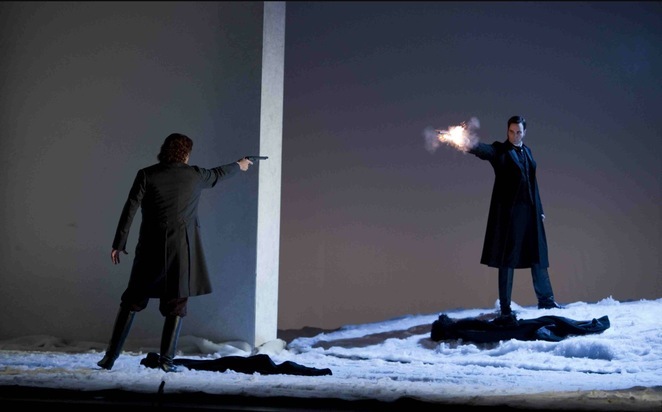 All of the operas will be performed between October 31 and November 4 at Birmingham Hippodrome. What's more, during the season, there will be Access All Arias events in Birmingham, which are live pop-up performances from members of WNO Chorus. Four will take place in a public location and another four will be at local schools. Both will use music from Die Fledermaus. So keep your eyes out for that in the city centre. Meanwhile, WNO's free virtual reality experience, Magic Butterfly, will visit Birmingham between October 30 and November 5 and be based in front of Birmingham Hippodrome. Magic Butterfly uses virtual reality to re-imagine operatic scenes from Madam Butterfly and The Magic Flute and create an immersive experience using responsive animation and sound. Opening the WNO autumn Season in Birmingham is Khovanshchina, which highlights the dilemma of Russian cultural identity over whether to face East or West? The story is set against the Moscow Uprising of 1682 when the country is in turmoil with the struggle between a romanticised past and modern reform. This is the first revival of David Pountney's 2007 production, and will see the return of Robert Hayward in the role of Prince Ivan Khovansky and Adrian Thompson in the role of the Scribe. They will be joined by Mark Le Brocq as the Westernised aristocrat, Prince Vasily Golitsyn, and Miklós Sebestyén as religious fundamentalist, Dosifei. Eugene Onegin in comparison is set in elegant 19th Century St Petersburg and follows the cynical protagonist as he rejects the romantic advances of the young country girl Tatyana, before later coming to regret his actions and feeling the sting of rejection himself. Considered one of the greatest Russian operas, Tchaikovsky's music reflects the high society of the time and the yearnings of the heart with evocative arias, romantic choruses and luscious waltzes. This revival of James Macdonald's original production will be directed by Caroline Chaney and conducted by Latvian Ainārs Rubikis who has recently been announced as the new Music Director of Komische Oper Berlin. Rising star and Welsh singer Natalya Romaniw takes the role of Tatyana, and Nicholas Lester returns to WNO following his performances in the Figaro trilogy in 2016 to take the role of Onegin. Prisoners are the focus of opera From The House Of The Dead. The final Russian themed opera of the week is From the House of the Dead. It is a revival of WNO's original 1982 production, this time in a new critical edition by musicologist John Tyrrell with performance suggestions by Charles Mackerras. Unfinished at the time of Janacek's death, this opera will be the first time that is has been performed in a version that is as close as possible to what Janacek intended. 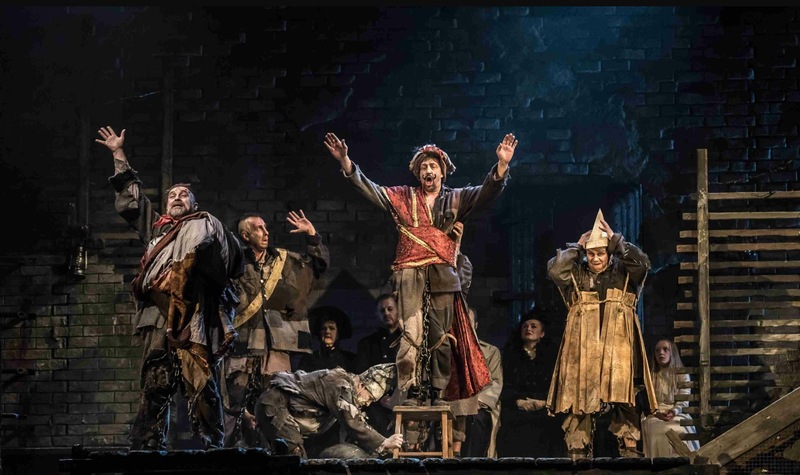 Telling the story of the inmates of a Siberian prison, the opera reflects their feelings of pain, oppression and injustice as each recount why they ended up in jail. Their gloom is eased as they painstakingly nurse an eagle back to health, which comes to symbolize both Russia and the notion of freedom. The production will feature a stellar ensemble cast including Alan Oke (Skuratov), Robert Hayward (The Commandant), Mark Le Brocq (Filka Morozov) and Adrian Thompson (Shapkin). Tomas Hanus says: "WNO's 'Russian Revolution' season reflects the soul of Russian people, culture and thinking, as well as the history. It is very important for us at this point in history to be touched by this subject, as it is sending a very specific but universal message. "The extraordinary beauty and immense power of the music of great Masters like Tchaikovsky, Musorgsky and Janáček puts us right at the heart of this Russian phenomenon and brings it alive in front of our eyes." 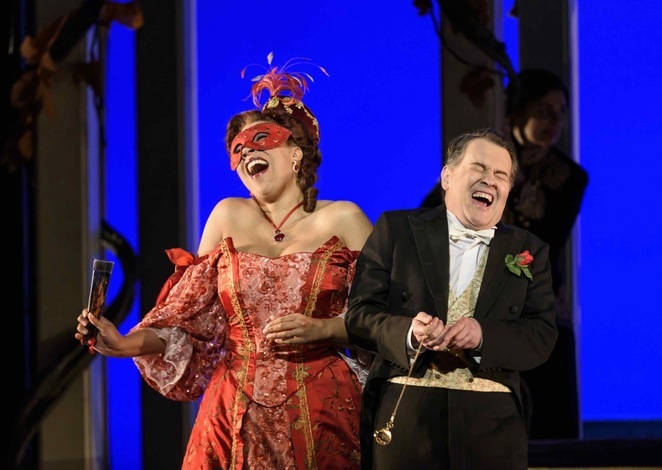 Die Fledermaus returns to Birmingham. During the Autumn season, there will also be two performances – including one matinee - of WNO's acclaimed production of Die Fledermaus. Set in early 1900s Vienna in a production that revels in the humour and frivolity of the story, and is full of opulence, fancy frocks and lavish detail. Featuring a rich and romantic score by Johan Strauss, we join the characters at a masquerade ball as a plot around mistaken identity unfolds. Die Fledermaus will be sung in English with translation by David Pountney and dialogue by John Copley. The cast for Die Fledermaus includes Judith Howarth in the role of Rosalinde and Mark Stone as her errant husband Eisenstein. The jailer, Frosch, is played by Welsh comedy actor Steve Speirs, known as Alan in the Sky One series Stella. Visit Birmingham Hippodrome website to book tickets or call 0844 338 5000. Tickets cost from £18.